Enjoy a fascinating tour of the Vatican Museums and Sistine Chapel with special evening admission. 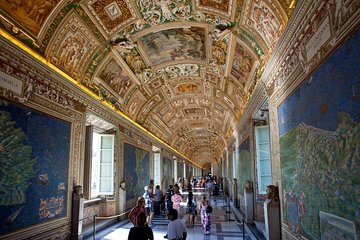 The Vatican’s summer crowds can be overwhelming, but with this tour you’ll have the unique opportunity of touring the museum after hours and without the daytime crowds. You’ll you see all the main highlights plus you’ll learn about the history and significance of the Vatican collections from your guide.